The skill of an experienced excavation contractor is crucial to clearing the way for the foundations of a new building. If you have an upcoming project, trust Henke Excavating Inc. for all of your land clearing and preparation needs. Located in Columbia, IL, their knowledgeable staff is dedicated to delivering dependable services throughout Monroe and St. Clair counties. 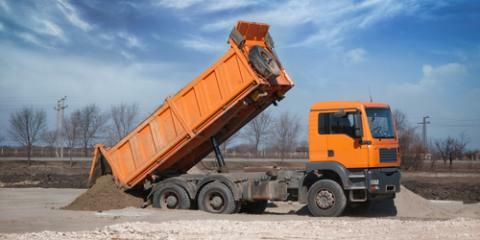 At Henke Excavating, they have the knowledge and skill to tackle any sized job. As a fully licensed and insured company, you can be sure that they’ll complete your next project properly and safely. Whether you need help with land clearing, pond building, or site prep for a much larger project, their team will complete the work quickly and efficiently so you can stay on target to meet your deadline. In addition to their excavating services, they also offer concrete flooring installations and epoxy floor overlay. A structure is only as good and as sound as its foundation. When you need quality site preparation work you can depend on, trust Henke Excavating to handle the project. To speak with a professional excavator about your future site plans, call them at (618) 281-5040 today.